I understand that non-HTPS students must be enrolled in and actively participate in the GIFT Program. In addition, they must be current on their sacraments. If your child does not meet these requirements, please contact Therese Caruso, Director of Religious Activities at 897-5207 prior to completing the registration process. 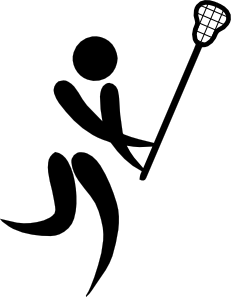 If your child is not currently a member of the US Lacrosse Association, you must first go to the US Lacrosse website to create an account and enter a valid "up to" date. I understand that membership in the US Lacrosse Association is a requirement for participation, and that this is over and above any HTPS Boosters participation fees. Uniform jerseys will be provided, but girls must have their own black skort. Black skorts will be made available to purchase at the online HT Spirit Store. Coaches will email registered players to notify them when skorts are available online.